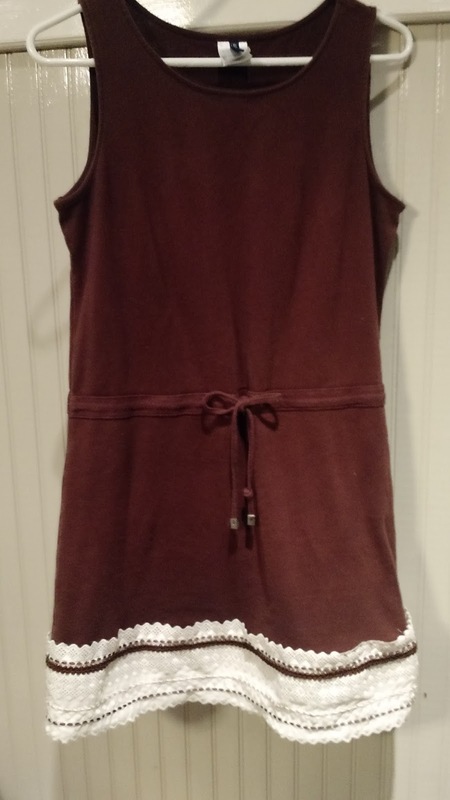 The ingredients: Good Will tank/tunic with interest. 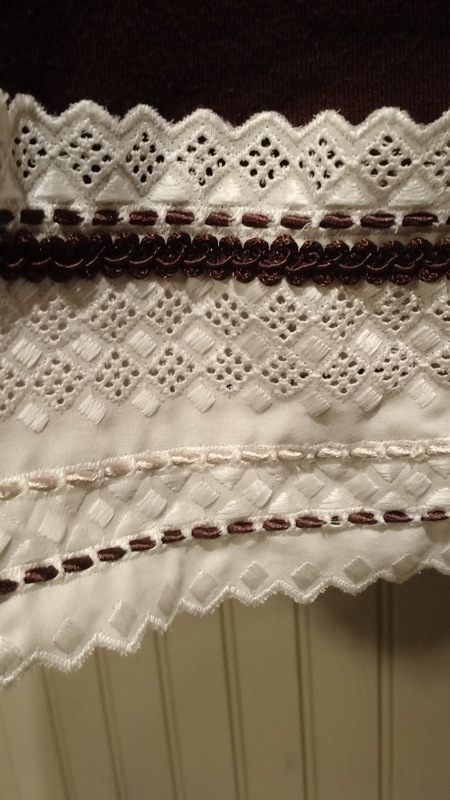 Wide lace, brown trim and satin cording. 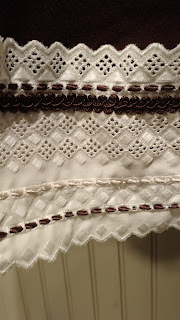 The brown trim and lace were sewn on all at once, then all the cording was laced thru. Now the top is just a bit longer. NICE. 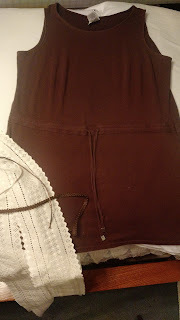 I wear it with brown or cream leggings or skinny pants. What does alter mean and can you give me an example?